Homestead Revival: New Produce Bags by ChicoBag! 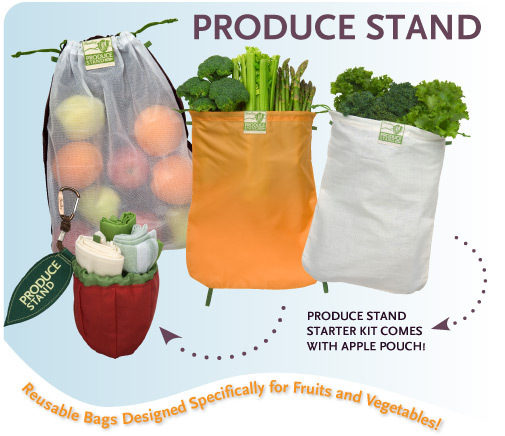 New Produce Bags by ChicoBag! 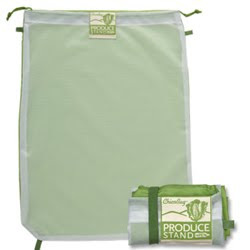 I have been chomping at the bit (so to speak), waiting to share this new product with all my Homestead Revival™ readers... Chicobag has just released their newest product: Produce Bags! How wonderful is that? And not just one kind of bag, but three! Since 2004, The ChicoBag Company has been on a mission to help kick the single-use bag habit (something I can really appreciate). And this new collection takes it one step further. I can't tell you how many bags I've used over the years to keep produce fresh in the refrigerator. Even with washing and reusing them, they just wear out and must be discarded. So I'm excited to have a viable solution to the traditional plastic bag! 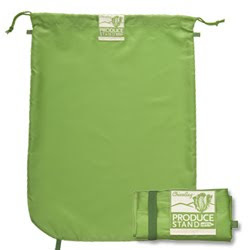 Hemp-Cotton Blend: This bag is perfect for leafy greens, grains and green beans. 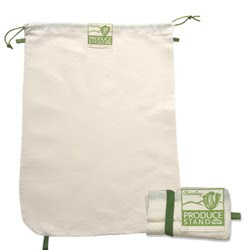 Made from 70 percent hemp and 30 percent cotton, it's sturdy enough to go through plenty of washings and the fabric is designed to absorb excess moisture on your produce while restricting air flow that can cause it to spoil quickly. For best results, dampen the fabric before use. I know you're interested in product safety, so I'm pleased to pass on the information that the rePETe™ bags are made from recycled single use water bottles (about 3 per bag) and most (if not all) single use bottles are bpa free. 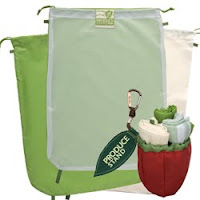 You can purchase these in a starter set which has one of each in the cute apple bag with a clip for taking it to the store or farmer's market OR you can purchase a set of three hemp/cotton bags, three rePETe™ Mesh bags, or three rePETe™ bags, each in a variety of colors. ChicoBag˙ is hosting a Produce Stand giveaway and will be selecting 10 winners to receive the new Produce Stand Collection. Contest ends June 4th 2010. Click here to enter to win! So get on over there and win some bags, ladies! I've got to get over and buy more for myself! Fundamentals eCourse Now Open For Enrollment!